Sometimes, it is a particular nutrient you have been lacking. But more often with these foods it is their synergistic properties. They have a magical energy that comes not only from the synergy of their nutritional composition but from the way they are grown, the lands they are from, their history. Many of them are sacred plants in their countries of origin. 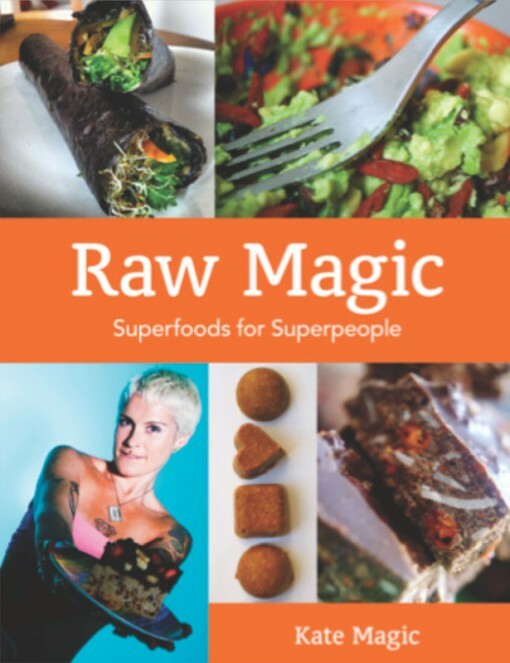 What distinguishes Raw Magic from other raw food books is its emphasis on remarkable raw superfoods that can now be accessed at natural food stores and online. It’s new, it’s magic. Kate Magic is one of the world’s best-loved raw food and superfoods experts. She is the creative director of Raw Living, Europe’s largest online raw and superfoods store and author of the UK’s best-selling raw foods book, Eat Smart, Eat Raw.